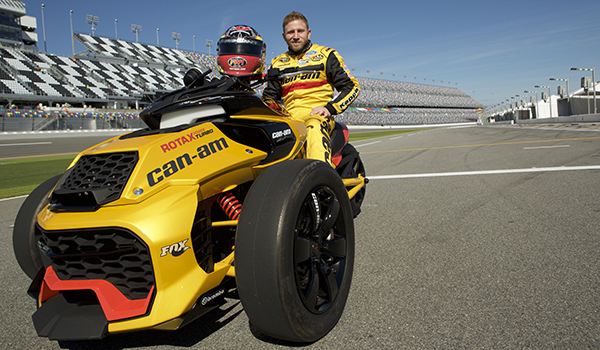 BRP (TSX:DOO) distinguishes itself again by unveiling a turbocharged Can-Am Spyder concept vehicle at Daytona International Speedway’s newly redesigned motorsports stadium leading into the 2016 Can-Am Duel At Daytona. Inspired by the Speedway’s racing heritage, this exclusive concept vehicle reiterates BRP’s renowned legacy of innovation. This vehicle, powered by a Rotax 1330 cc turbocharged and intercooled engine, goes from 0-60 mph (0-100 km/h) in 4.3 seconds and does a quarter-mile (0.4 km) in 12.3 seconds. It also features SPORT mode that allows for controlled rear tire drifts. With this concept – which is not planned for production – BRP’s Can-Am brand brings its excitement, performance and innovative technology to NASCAR fans. The Can-Am brand is the entitlement sponsor of the Can-Am Duel At Daytona, as well as the Can-Am 500 in Phoenix in November. Additionally, in association with Kappa Clothing and Cyclops Gear Cameras, BRP is a primary sponsor of the #32 GoFAS NASCAR Sprint Cup Series racing team featuring drivers Jeffrey Earnhardt and Bobby Labonte, as well as Alex Labbé in the NASCAR Pinty’s Series in Canada. 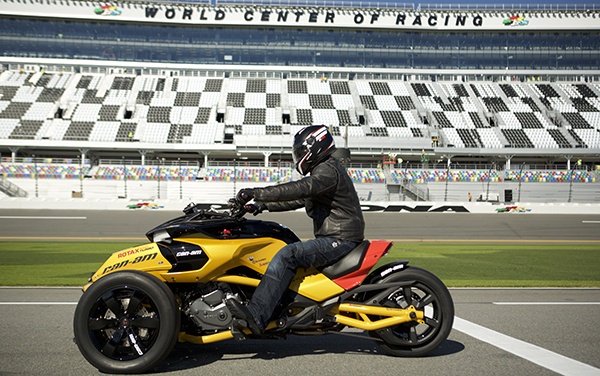 BRP will display its full line of innovation-driven Can-Am products, including the turbocharged Can-Am Spyder concept, as well as Can-Am ATVs, side-by-side vehicles and Can-Am Spyder roadsters at track Midway areas throughout the season, including Daytona International Speedway. 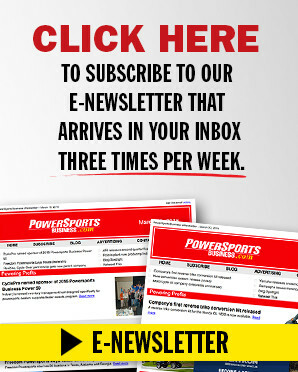 Area BRP dealers will also host events where fans can see the latest models.